And a little upset. No, a lot upset. Do you know what I found out tonight? Seriously, this has thrown me for a big loop. 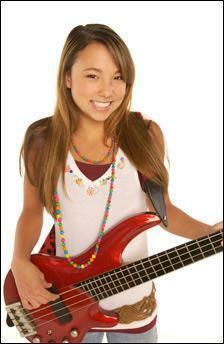 Rosalina, from the Naked Brothers Band, is not actually called Rosalina. Her name is Allie DiMeco, and she’s an actress. I thought, for real, that these kids were a real band making a tv show – like the Monkees. My world is spinning out of control. What’s next – is someone going to tell me that Tila Tequila isn’t actually a bisexual?? Next postchris moore, this is for you. Nothing is sacred these days!